Don’t ever underestimate the beauty of retail therapy. This entry was posted in Pictures Worth a Thousand Words and tagged Cancer, Girlfriends, Photography, postaday, Recovery, Sanity, Weekly Photo Challenge by Joy. Bookmark the permalink. I’m into retail therapy too! Great shot! It can be a good thing 😉 Thank you! Fun take on the challenge! 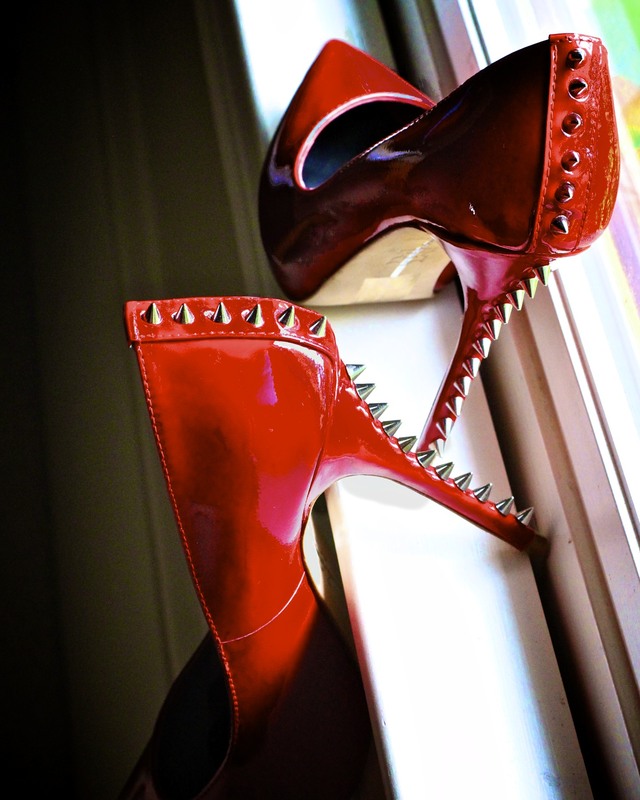 I can barely walk in one inch heels but I want these! Great for meetings when you are feeling a little unsure of yourself! Ha! I love it! You are SO right! Joy. Those are some pretty wild shoes. You can slay someones heart and a body part all at one time. Love it. You Go Joy! I would not want to sneak up behind you! 🙂 And of course if you have an itch you are all set. Haha! Seriously. 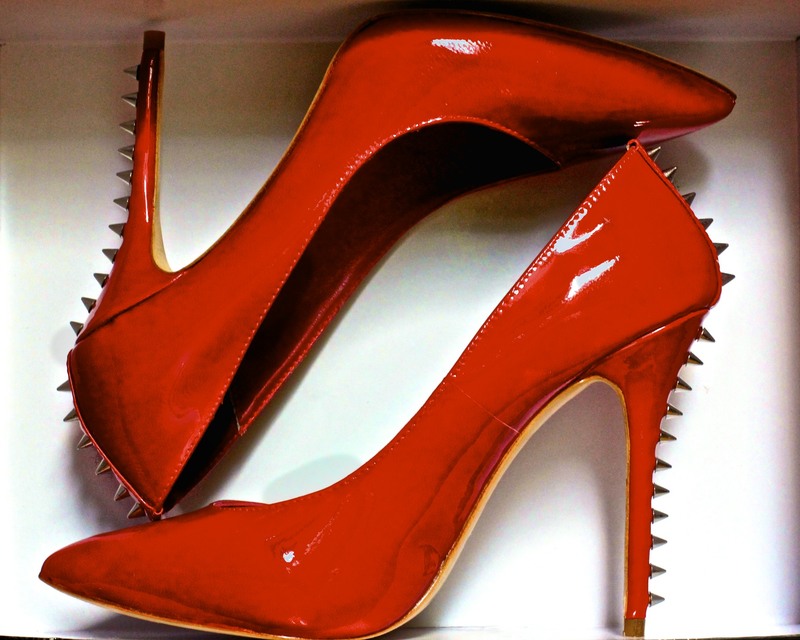 I’m going to have to be careful wearing these! Just in time for the Avengers Movie…. Play if you have the time. 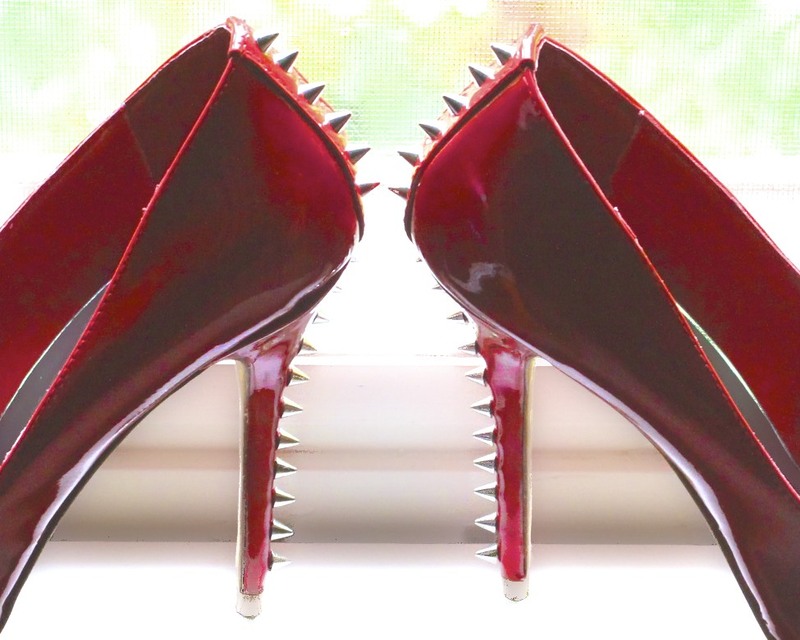 If you click these heels together, there’s no telling where you’ll wind up!! !